My New Novella is #9 on Amazon’s Historical Fiction Short Stories List! When Mary Met the Colonel is catching on! It’s #9 on Amazon’s Historical Fiction short stories list. Woo-hoo! 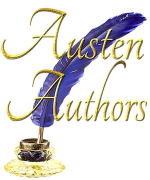 And, check out this review on the blog “Obsessed by Mr. Darcy.” She says some lovely things! Excerpt from My New P&P Variation Short Story! Excerpt from my new new short story! It’s a P&P variation, but the first I’ve written that’s not focused on Darcy and Elizabeth. I hope to publish it soon. Enjoy! Colonel Fitzwilliam hid his wince. If Miss Kitty Bennet’s voice grew any shriller, it would soon be audible only to dogs. He was not certain how to respond to such a comment. Should he thank her or modestly deny it—when he really wished to beg her to leave him in peace? Grabbing his elbow, she pulled Fitz toward her. He gently extricated his arm from her grasp once more, only to have it captured again within moments. Napoleon’s generals could learn tactics from Kitty Bennet. Why did urgent dispatches from his commanding officer never arrive when he needed them? Or attacks of apoplexy? Fitzwilliam yielded the field to Miss Kitty for the moment and glanced about the Longbourn drawing room, crowded with guests for the wedding breakfast celebrating the marriage of his cousin, Fitzwilliam Darcy, and Kitty’s sister, Elizabeth Bennet—now Darcy. Perhaps the joy of the occasion would wash away his irritation. Indeed, it was an excellent match, and the couple appeared very happy. But his momentary happiness was immediately dampened by the sense of impending dread at the sight of Maria Lucas crossing the room with an air of determination. No doubt he was her target. Another girl mad for a red coat, Miss Lucas had been at odds with Miss Kitty over Fitz since his arrival the day before. They appeared to believe the matter was to be settled by them without any input from Fitz. “No. Generally speaking, weddings do not provide occasions to run people through.” Miss Kitty laughed as if it were the cleverest thing she had ever heard. This time, Fitz did wince at the shrill sound. Miss Lucas finally reached them, slightly out of breath. “Colonel, would you care to dance?” She fluttered her eyelashes. He supposed many men would consider her pretty, but he found the vapidity of her expression and the artificiality of her manner completely unappealing. Miss Kitty used her hold on his elbow to yank him closer. “He promised to take me for a tour of the garden!” She scowled at the girl whom yesterday she had declared her closest friend in the world. I did? I must not have been present for that part of our conversation. Fitz made a show of peering through the crowd. “I do believe Darcy is seeking me out. I pray you, pardon me.” He firmly disengaged Miss Kitty’s hand from his arm and evaded a renewed attempt at capture. At least the wedding breakfast would serve to sharpen his evasive skills. “Where? I did not see him!” she cried petulantly. Rather than respond, Fitz plunged into the crowd. His only hope lay in speed; if he slowed his pace, the enemy would be upon him immediately. The French should hire the two girls as scouts; they had an uncanny knack for spotting red coats. Fitz slipped between two groups of people in the crowded room, hoping that any pursuers would lose sight of him. After another minute of frantic maneuvering from room to room, he appeared to have shaken anyone on his trail and permitted himself a relieved exhale. The two girls had occupied all of his time since he had arrived at Longbourn, and he was weary of hearing how well gold buttons set off a red coat and how worthy cavalry officers were.